Red chalk, 13.4 x 18.8, laid down, no wm. visible. Inscribed in ink, scratched out in pencil, in the upper left corner: Baregio[? ]; inscribed in pencil on the mount: 11. Puligo, and in ink: 446. Santarelli, 1870, 40, no. 11, as Rosso. Berenson, 1903, 1938, 1961, no. 751, as Franciabigio. Carroll, 1964 (1976), I, Bk. I, vii, 1-5, Bk. II, 174-177, D. 1, Bk. III, Fig. 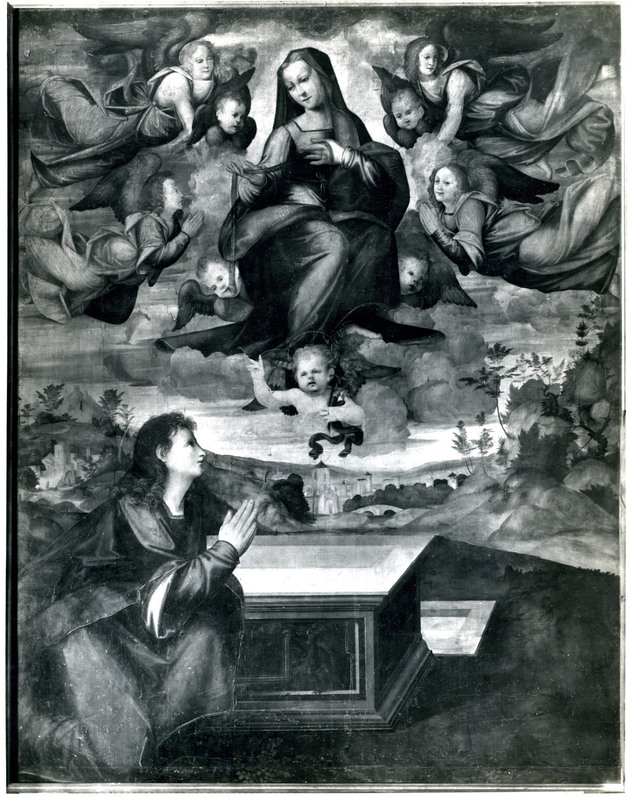 2, as Rosso, around 1512, as a copy of part of a drawing by Fra Bartolommeo in the Uffizi (472E) for an Agony in the Garden, but in the “Addition to the Preface,” of 1976, I no longer accepted this attribution. 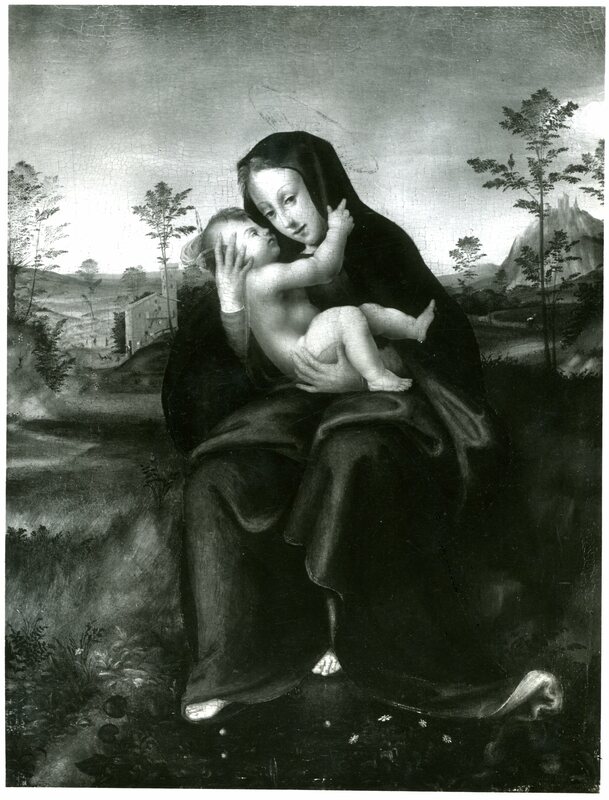 McKillop, 1974, 226-227, as not by Franciabigio, but possibly by Fra Bartolommeo or someone in his shop, with characteristics that also suggest Granacci. Fischer, 1986, 156-157, Fig. 118, no. 97, as Rosso after Fra Bartolommeo’s drawing (see above). Patricia Rubin, “Florence, Uffizi, Fra Bartolommeo drawings,” BM, CXXIX, 1987, 269, as Rosso. Franklin, 1994, 8, 271, n. 24, notes that Fischer no longer gives this drawing to Rosso. 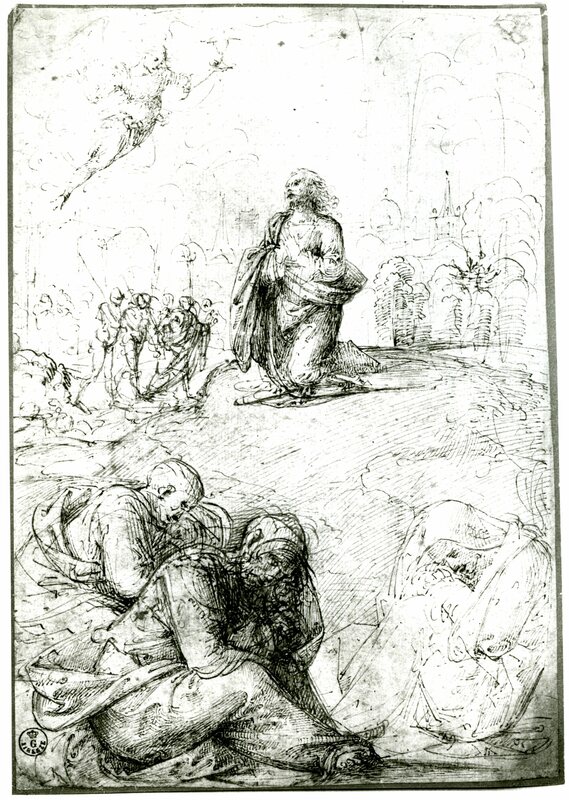 The drawing is related to two figures in Fra Bartolommeo’s drawing in the Uffizi (472E) for an Agony in the Garden (Fig.RD.15, pen).1 Why the drawing was given to Rosso in the Santarelli catalogue of 1870 is not known. 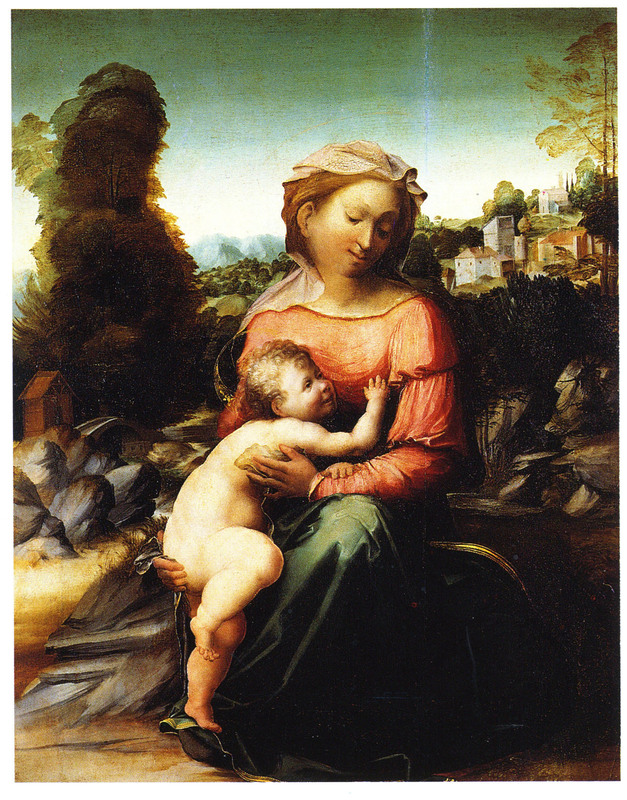 When I accepted this attribution in 1964, I did so because of the stylistic similarity of it to a group of paintings that I, and others, had given to the early Rosso, the Madonna della Cintola in Rome (Fig.RP.21a), the Madonna and Child at Bucknell (Fig.RP.11), the Madonna and Child from the Uffizi (Fig.RP.6a), and the Holy Family in Rome (Fig.RP.20a), which are now generally seen as by the Master of the Kress Landscapes, identified by Waldman, 1998, as Giovanni Larciani. There is no reason now to recognize the Two Draped Figures Seated Asleep on the Ground as by Rosso. 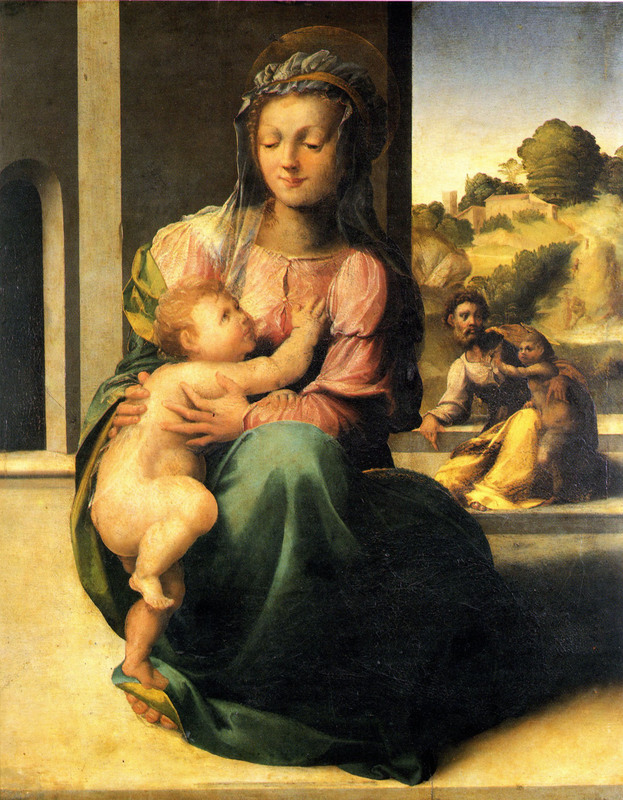 McKillop denied its attribution to Franciabigio, thinking it might be by Fra Bartolommeo himself or from his shop but with characteristics that also reminded her of Granacci. It may, however, still be related stylistically to those paintings that had been attributed to Rosso and hence, possibly, to the former Master of the Kress Landscapes, now Giovanni Larciani. 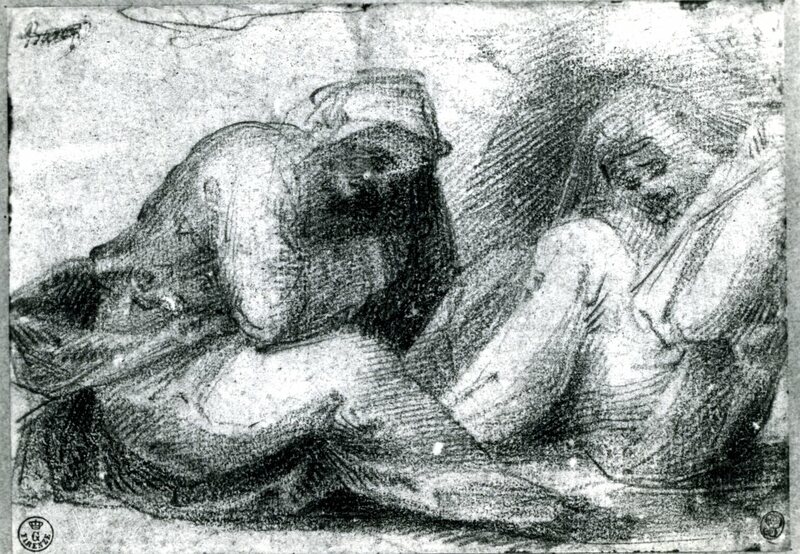 While the two figures are closely related to those in Uffizi 472E, they do not actually copy them, suggesting that perhaps another drawing by the Frate was their source. 1 Fischer, 1986, 39-40, no. 7, Fig. 12, with bibliography.